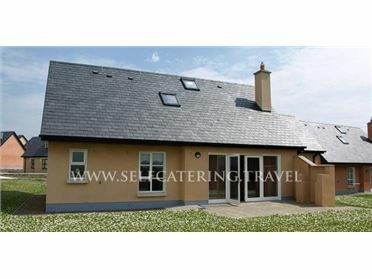 Middlequarter is a charming semi-detached cottage situated just outside the village of Newcastle in County Tipperary. Benefiting from two cosy bedrooms, one double and one twin, this cottage can sleep four people. The rest of the cottage includes a shower room and an open plan living area with kitchen, dining area and sitting area with open fire. To the outside of the cottage is off road parking for two cars and an enclosed lawned garden. Middlequarter offers a wonderful touring base for families and friends looking to stay in the beautiful south of Ireland. The village of Newcastle is located 10 miles from Clonmel, Tipperary's county town and is ideal for enjoying beautiful walking and cycling routes over panoramic ranges like the Comeragh and the Galtee Mountains. Oil central heating with woodburning stove. Electric oven and hob, microwave, fridge, freezer, washing machine, tumble dryer, TV with Saorview, DVD, WiFi, selection of books, games and DVDs, BBQ. Fuel, power and starter pack for woodburner inc. in rent. Bed linen and towels inc. in rent. Cot on request. Off road parking for 2 cars. Enclosed front lawned garden. One well-behaved dog welcome. Sorry, no smoking. Shop and pub 8 mins walk. Note: The owner is a registered tour guide and can pass on her local knowledge..